Shirley it was lovely to see all the lambs leaping around. Their mums were keeping their eyes on them. Awe how sweet great capturing the lamb leaping. There is a farm quite close to us where they are open at Lambing time ... wonderful to visit. How lovely Shirley. 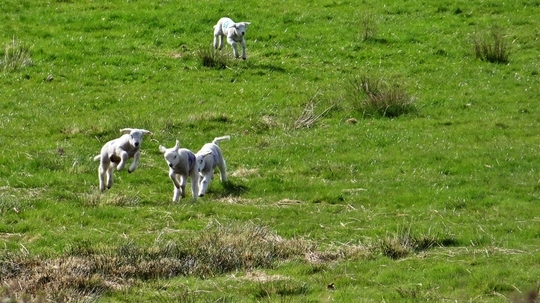 Yes Thrupennybit lovely to see the lambs leaping about.